The amount of money invested so far this year remains higher than at the same time in 2016 and 2015. But the number of investment deals has fallen. 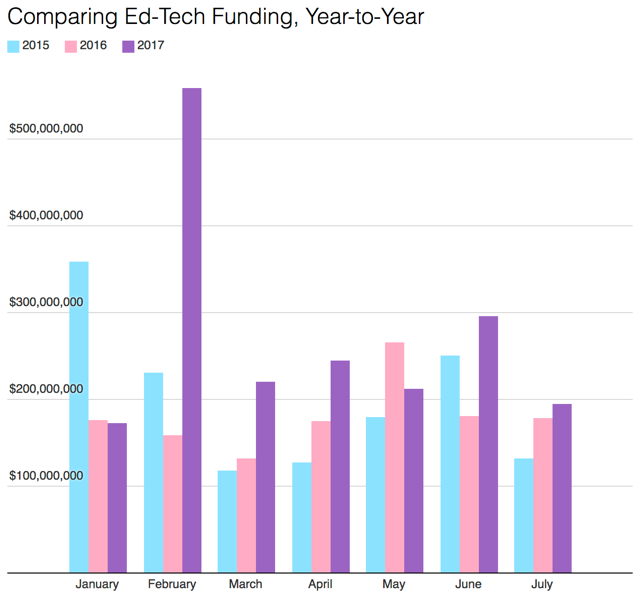 That is to say, the funding total for the year is being driven by a small number of very large investments – there have been seven of $100 million or more. Acquisitions are also down from previous years – and down rather dramatically: only 46 so far this year compared to 68 this time last year and 64 the year before. These sites include human- and machine-readable versions of this funding data. If you see an error or omission, please file a GitHub issue. You’re welcome to fork or download the repositories too, of course.